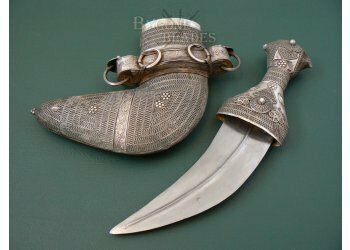 Late 19th Century Janbiya, probably from Yemen or Saudi Arabia and one of a matched pair. 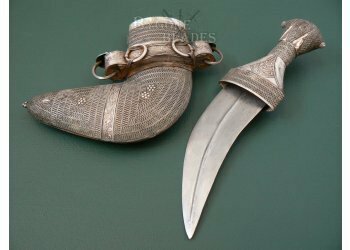 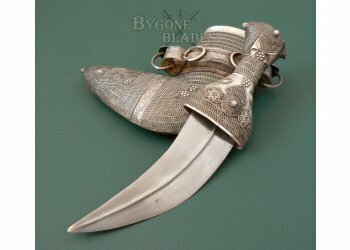 Adult men traditionally wear the Janbiya dagger. 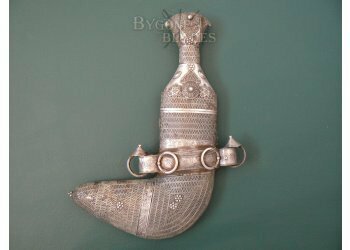 The quality of the materials, fabrication and decoration are an indication of status. 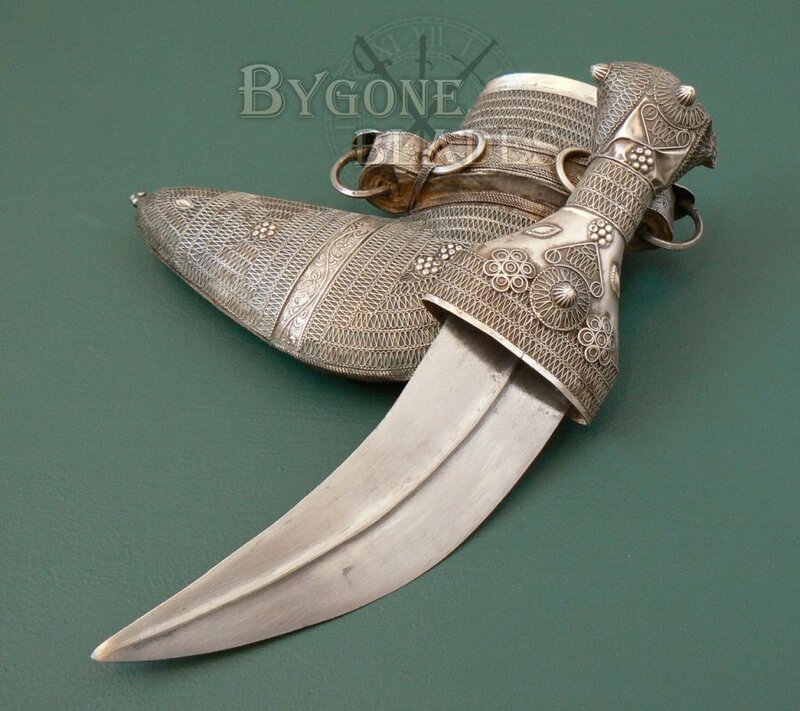 The Janbiya originated in Yemen and is usually associated with the people of Yemen and Najran in Saudi Arabia. 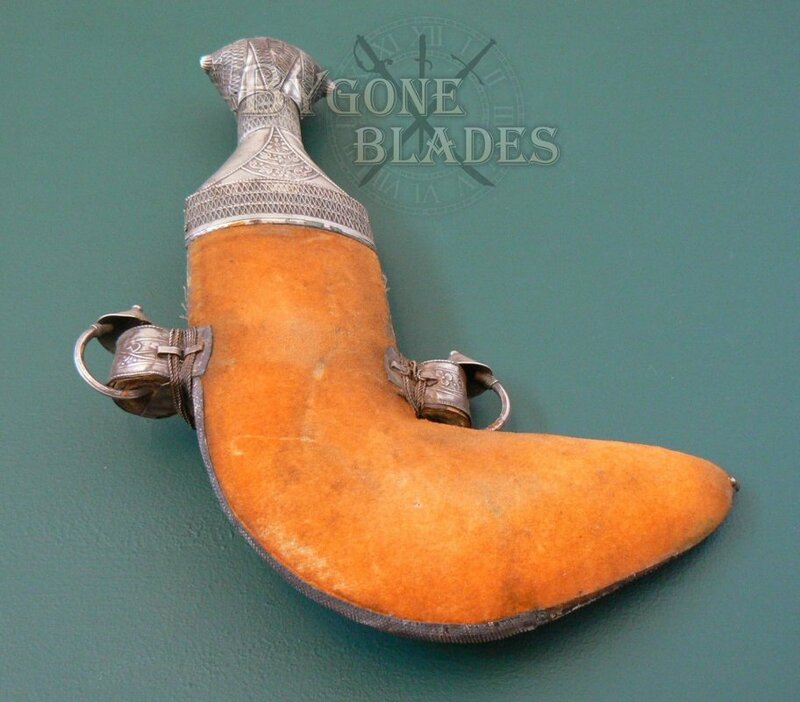 The 152mm curved blade has a pronounced medial ridge and is in excellent condition. 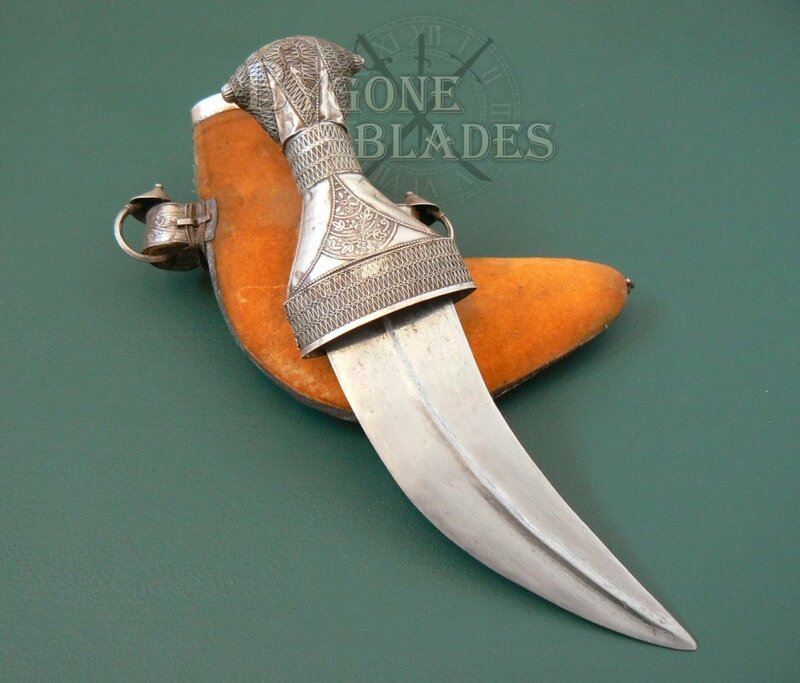 The folded steel blade is double-edged and sharp. 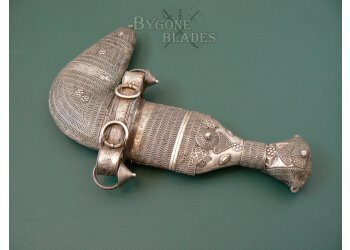 The blade is firm in the ornate silver hilt. 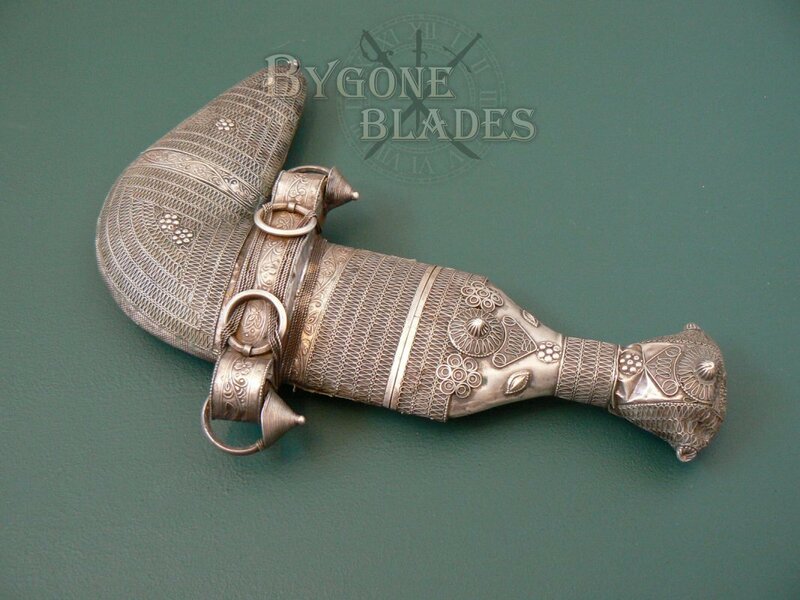 The scabbard is intricately decorated with silver filigree and floral bands. 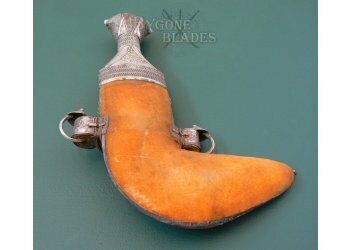 The back of the scabbard is velvet. 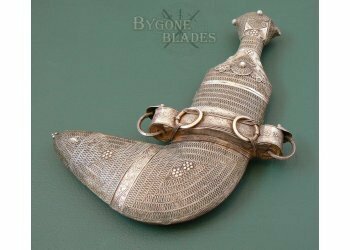 This is a truly beautiful and high status Janbiya. The craftsmanship and attention to detail is magnificent. 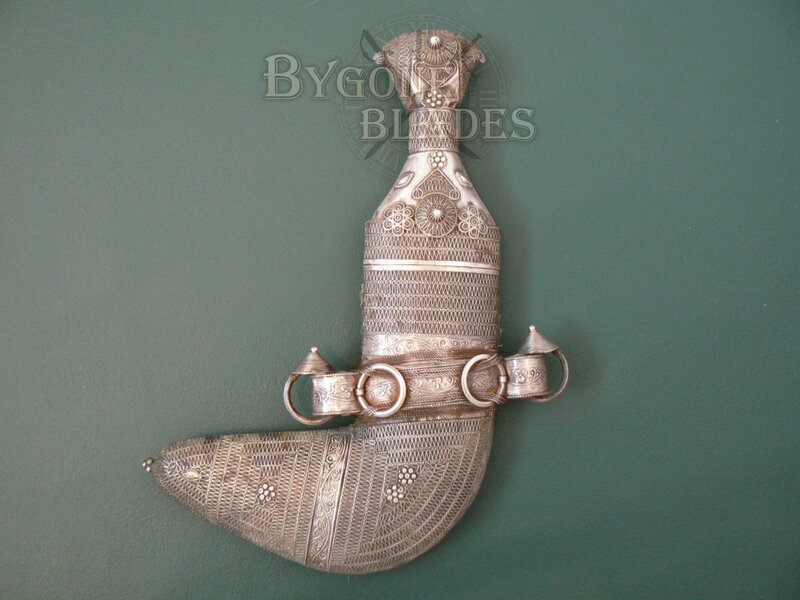 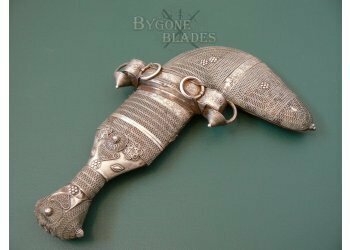 The Janbiya is in overall excellent condition with minor tarnish to the silver and a few small dents on the pommel of the hilt. 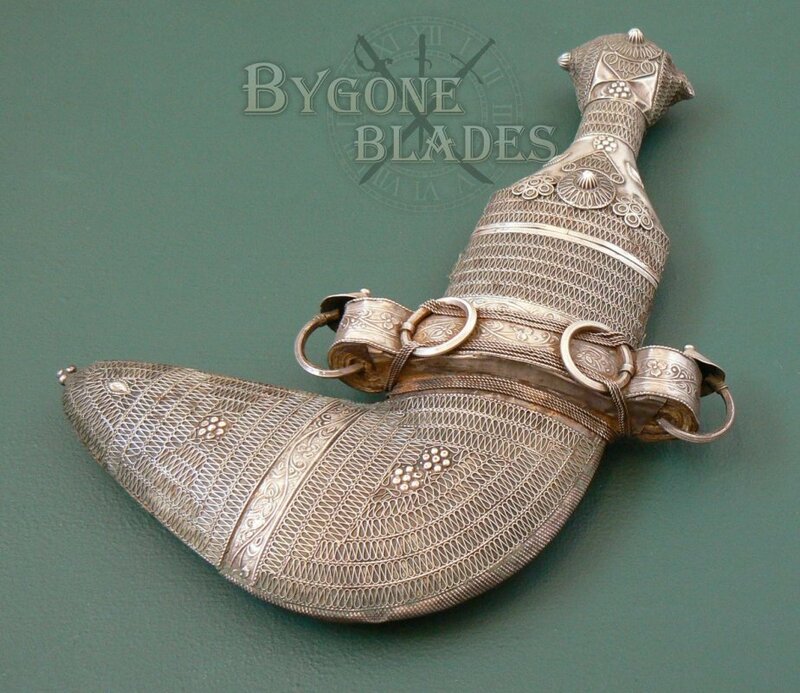 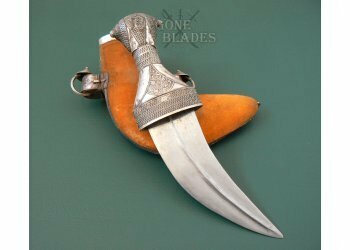 If interested in the pair of Janbiya, please contact richard@bygoneblades.com to arrange a discount.